Our patients and their needs is what inspire us. We help people with movement dysfunctions. We propose medical solutions in the field of orthopedics and rehabilitation. Apart from wheelchairs we offer you a wide range of auxiliary and anti- pressure sore and sanitary equipment. Crutches, sticks, walkers and rehabilitation supports-an auxiliary equipment includes devices, supporting the walking of people with physical disabilities. Our standers will help them to assume erect position. Our rehabilitation department offers you wide range of wheelchairs, auxiliary and anti - bedsore and sanitary equipment. The rehabilitation equipment may be partially or fully reimbursed by NFZ. Our brands are: Vitea Care and Meyra - ortopedia eine marke von Meyra. VITEA CARE is a group of products which subserve for broadly defined rehabilitation. 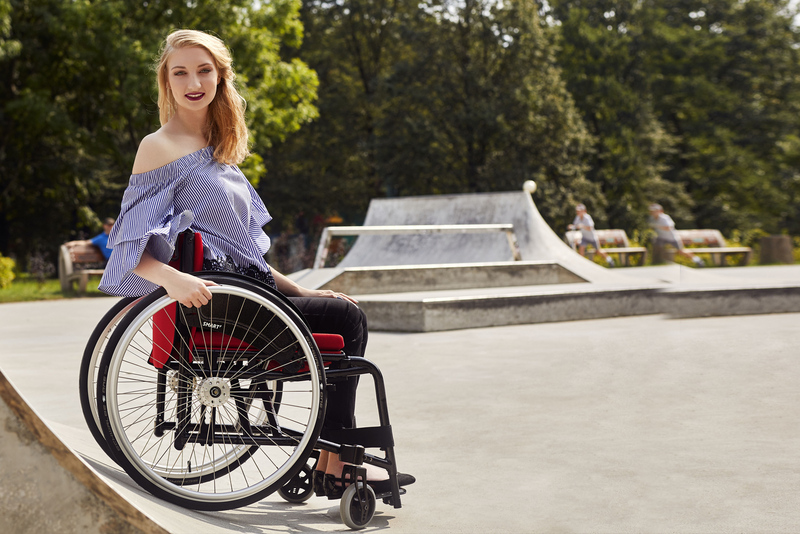 The line of auxiliary and rehabilitation equipment includes products for the prevention and support bedsore therapy, wheelchairs of various standards and functionalities, toilet and auxiliary equipment. Within the brand there are also products for children. Vitea Care, which thanks to proven quality and the fact that the brand keeps searching for more and more innovative technical solutions, improve the comfort of everyday activities and allow for a fuller participation in everyday life. 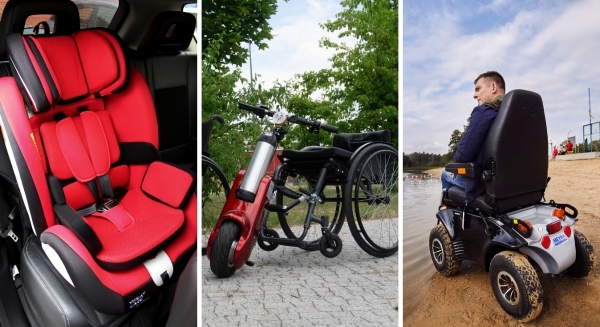 MEYRA company is a part of the global MEYRA GROUP and one of the best known and reputable wheelchairs makers and rehabilitation equipment suppliers. We have a comprehensive offer, thanks to which, everyday life is more ordinary, whether at home, outside of it, during therapy session or doing sports. Maintaining constant contact with disabled people, physicians, clinicians, therapists and caretakers, as well as close cooperation with qualified medical companies- all of this ,facilitates us the development of products that check up in practice. We design and make high quality active wheelchairs for domestic and foreign market. Long-term presence on the market requires providing more and more superb solutions. We have knowledge and one of the most modern generatve facilities. At the design stage of products we cooperate with people with disabilities that allows us to listen to their needs. The company Mdh is a part of the MEDORT S.A. capital group, which has been in place for 30 years. We have our own scientific-research, production and development cells. Our goal is to constantly improve production and sales process in order to provide the highest quality solutions to our clients.